Family owned and operating from the same Campbell location for more than 30 years, we at J&M Windows and Glass, Inc. are expertly trained to assist homeowners, contractors, architects and other industry professionals with equal aplomb. We are committed to providing excellent products and service to every customer, every time. Diamond certified and a member of the National Association of the Remodeling Industry or NARI for 19* years, our ability to think beyond our customers' requests sets us apart from our competitors. Allowing our customers to consider options they may not have thought of initially helps us ensure they ultimately get what they want. J&M Windows and Glass, Inc., inspects all shower and mirror materials we receive prior to any installation. We feel this is the first step in quality installations. If any materials fail to pass our quality control, we either repair or replace that material so that in the end, our customer is left with a stunning job. Are your energy bills soaring through the roof? 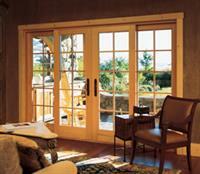 Are your windows or doors doing the job they should? 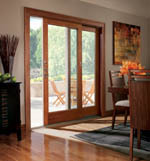 In addition to providing beauty and style and instant curb appeal, your home's windows and doors should deflect drafts and the harshest of nature's elements. Whether you are considering upgrading the windows in your home or having your bath remodeled, call the professionals at J&M Windows and Glass, Inc. today at 408-371-7255. From Bascom Avenue turn north on Union Avenue. At the first light, turn left onto McGlincy Lane. We are the the 5th building on your right.